This is a very serious matter and anyone with a new Porsche 911 GT3 should contact Porsche immediately. 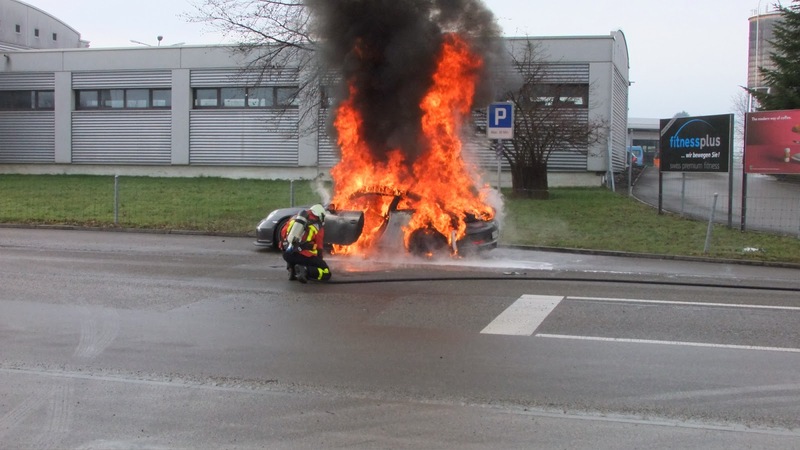 As the photos below show a brand new new Porsche 911 GT3 went up in flames. The owner managed to exit the car without incident but as of right now Porsche has apparently stopped deliveries as the matter is investigated. 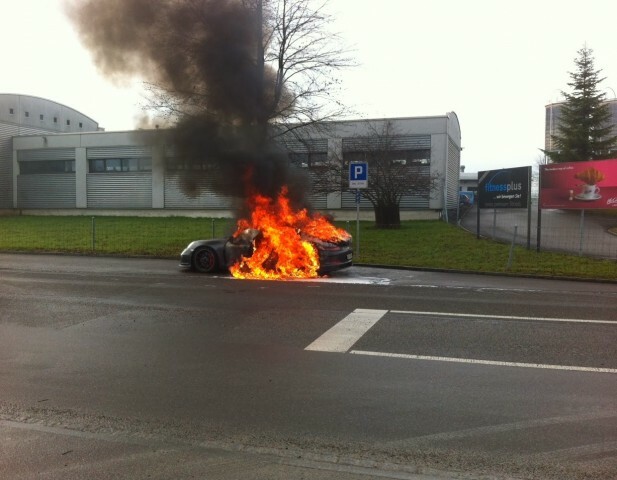 This particular car in the photos is from Switzerland and the Swiss police report details what happened to the GT3. Porsche has yet to officially comment on the issue and they are more than likely aware as apparently deliveries of new Porsche 911 GT3’s are halted until further notice.